Green Earth Vitamins prides itself in being able to know that our customers are getting the highest quality possible Soursop supplement, and have the story to backup that claim. The process is simple, as it should be. We have partnered with a nonprofit, City of Praise, to create a organic Soursop plantation. The idea is to create a constant positive income to be able to support the orphanage and school. To this date, we have over 4000 trees growing. A very important step is to properly process the leaf and leaf powder before shipping to the USA. 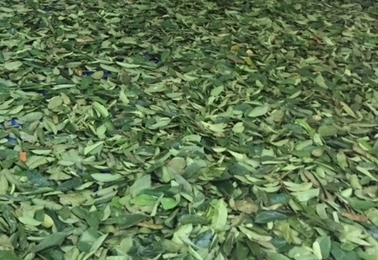 We have an on site processing plant that allows us to meticulously sort, clean and dry the leaves to make sure that that leaves and leaf powder are of the best quality! Before our leaf powder become a supplement, each batch goes through the laboratory to be tested once again. Once approved, the leaves go into production. At this point Green Earth Vitamins is able to oversee every step of the way. Knowing that your getting the best quality supplement is important, and not dried leaves that may have lost the important nutrients.